· Sarah Patterson “Patsy” Brison has been named the Best Lawyers’ 2014 Asheville Land Use & Zoning Law "Lawyer of the Year." 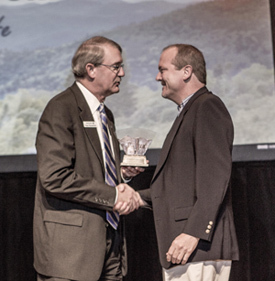 · John S. Stevens has been named the Best Lawyers’ 2014 Asheville Corporate Law "Lawyer of the Year." · James W. Williams has been named the Best Lawyers’ 2014 Asheville Personal Injury Litigation - Defendants "Lawyer of the Year." · Sheryl H. Williams has been named the Best Lawyers’ 2014 Asheville Real Estate Law "Lawyer of the Year."